Unemployment in the Tar Heel State dropped by 17% in the second half of 2013 after extended benefits expired. John Hood Mr. Hood is chairman and president of the John Locke Foundation, a public-policy think tank based in Raleigh, N.C.
July 4, 2014 Raleigh, N.C.
A year ago, North Carolina became the first state in the nation to exit the federal government’s extended-benefits program for the unemployed. Facing the prospect of job-killing hikes in payroll taxes to pay back Washington, Gov. Pat McCrory and the state legislature instead reduced the amount and duration of unemployment-insurance benefits, which had been higher in North Carolina than in most states. As a result the state lost its eligibility to participate in the extended-benefits program on July 1, 2013. National media and liberal activists pounced. 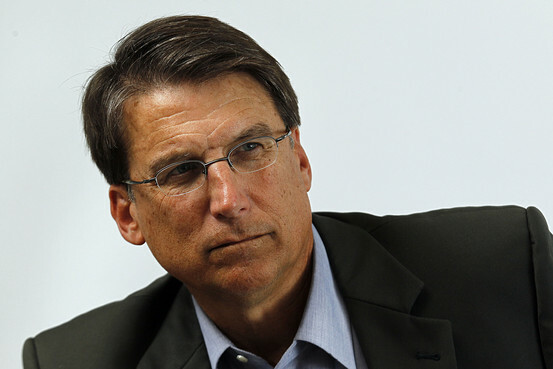 Citing the decision and several other “outrages” by the state’s first Republican-led government since Reconstruction—such as adopting a pro-growth flat tax, clearing out the state’s regulatory thicket, and rejecting ObamaCare’s Medicaid expansion—left-wing critics subjected the Tar Heel State to months of invective and ridicule. Within the state, the so-called Moral Monday movement drew thousands of protesters to the capital on a nearly weekly basis. Hundreds of arrests were made for violating the rules of the state’s Legislative Building. Outside the state, liberal media outlets excoriated North Carolina for ending extended benefits. New York Times columnist Paul Krugman called it a “war on the unemployed.” Even some conservative columnists and policy analysts criticized the decision as unwise and inconsistent with the principles of their new “reform conservatism” movement. With party unity, good candidates and an inclusive message, conservative campaigns can prosper. Democrats across the country are celebrating the re-election of President Obama and the pickup of two seats in the Senate and eight in the House. But in two formerly Democratic states, Republicans have much to be joyful about. The GOP victory in North Carolina included the governorship, veto-proof majorities in the state Senate and House, control of 54 of the state’s 100 counties, three new U.S. House seats, and a pivotal seat on the state Supreme Court. All this lifted Mitt Romney to a narrow victory in a state that Mr. Obama won in 2008. It is premature to declare North Carolina a reliably red state, but Republicans are “positioned to be the dominant party in North Carolina for at least a decade if not beyond,” says GOP consultant Marc Rotterman. The same is true in Arkansas, the second-best state for Republicans in last month’s election. Both states offer Republicans an opportunity to unseat Democratic senators in 2014. In Arkansas, the GOP trend has moved so quickly that Sen. Mark Pryor, who had no Republican opponent in 2008, is now considered highly vulnerable. In North Carolina, Sen. Kay Hagen, when matched against an unspecified Republican challenger, led just 45%-41% in a Public Policy Polling survey last month. The last Democratic senator to win re-election in North Carolina was Sam Ervin in 1968. Republicans in the Tar Heel State were unified, with all elements of the party, including social conservatives, engaged with the various campaigns. The GOP ticket was ideologically balanced, with moderate gubernatorial candidate Pat McCrory at the top. The party, Republican campaigns, and GOP-oriented groups joined in a massive turnout operation. Republicans exploited every opening that Democrats gave them—and there were plenty. RALEIGH – The Old North State’s economy is in a shambles. 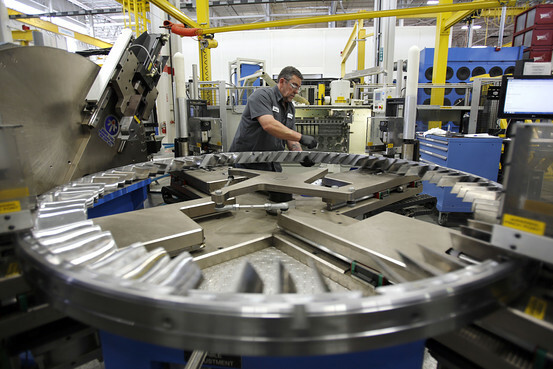 The New North State’s economy isn’t. North Carolina, the Old North State, has posted the nation’s weakest recovery from the 2007-08 recession, according to the Bloomberg Economic Evaluation of the States (BEES). The index includes measurements of unemployment, income growth, home prices, mortgage foreclosures, government finances, and the stock performance of public companies based in the state. From the fourth quarter of 2008 to the third quarter of 2011, North Carolina ranked dead last in performance on the BEES index. North Dakota ranked first – in fact, it was the only state that posted significant economic growth during the period.